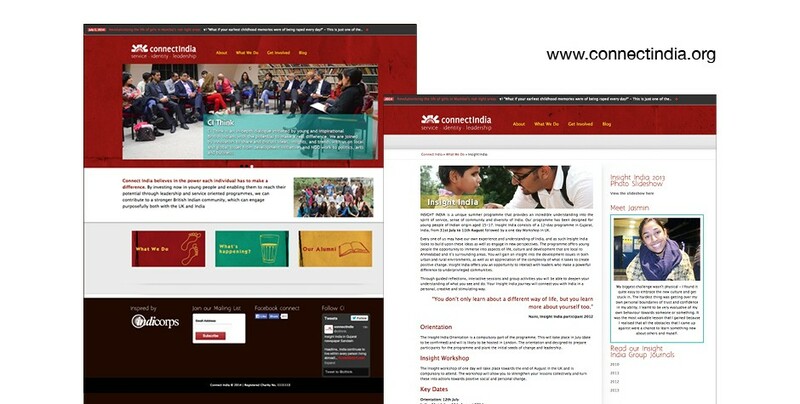 I have worked with Connect India for a number of years providing design support to aid outreach of their programmes and platforms. I have helped to establish the brand and regularly work on their print, web and social media projects. I recently worked with the team to add more depth to the design of the website by modifying the theme using html and CSS. I regularly work on their print projects which include annual reports and tailored graphics for their various social channels.